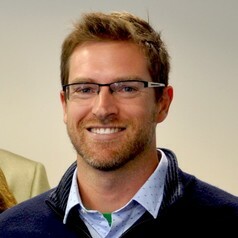 Jay Plasman is a PhD student of education policy, leadership, and methodology in the Gevirtz Graduate School of Education the University of California, Santa Barbara. His education policy research focuses broadly on college and career readiness for secondary students and more specifically on career and technical education and the development of socio-emotional skills. During his studies, Plasman has published in a number of peer-reviewed education journals and presented his findings to audiences around the world. His current projects focus on evaluations of a high school career planning curriculum and a postsecondary program to help improve persistence in STEM fields for traditionally underrepresented students. Prior to returning to school to pursue his PhD, Plasman was the Director of Education at an alternative school in Madison, Wisconsin. The program focused on providing both vocational training and education toward a high school diploma for disconnected youth.